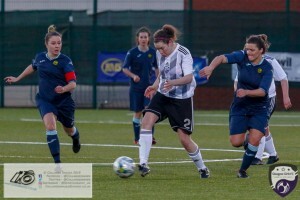 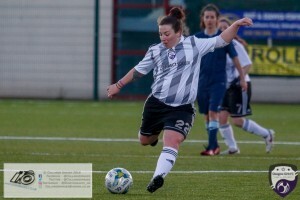 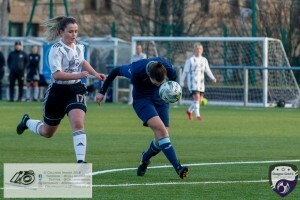 Photographs taken by Glasgow Girls FC photographers Collage Images. 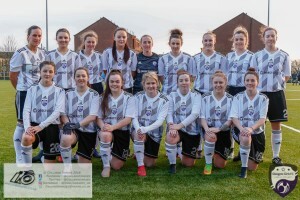 Photos are available for purchase in larger format, please contact them direct, using the details below. 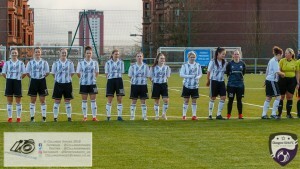 Glasgow Girls Fc line up ahead of Kickoff in the opening game of the Scottish Women’s Premier League 2 Season Glasgow Girls FC vs Partick Thistle WFC at Petershill Park, Glasgow. 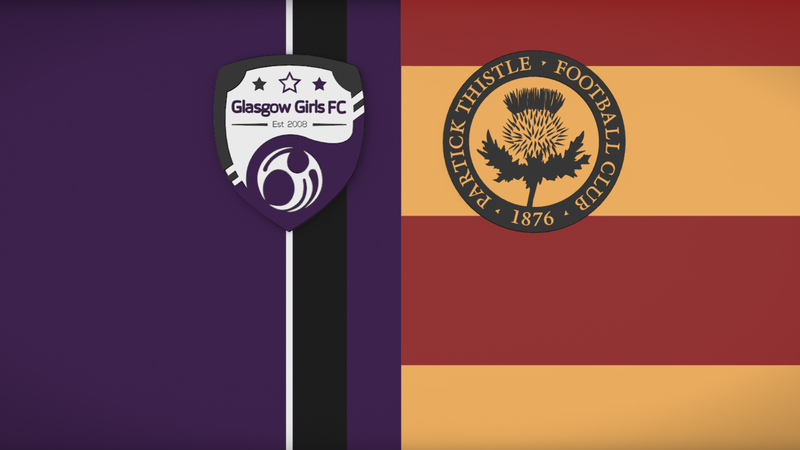 Glasgow Girls Georgie McTear, Toni Harkness, Lauren Coleman,Leigh Ferrol,Rachael Armit & Kirsty MacDonald greet teh officials and the players from Partick Thistle ahead of the opening game of the Scottish Women’s Premier League 2 Season Glasgow Girls FC vs Partick Thistle WFC at Petershill Park, Glasgow. 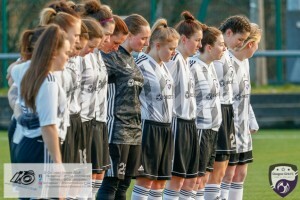 Glasgow Girls Pay their respects to fellow SWFL Side Glasgow City ahead of their from the opening game of the Scottish Women’s Premier League 2 Season Glasgow Girls FC vs Partick Thistle WFC at Petershill Park, Glasgow. 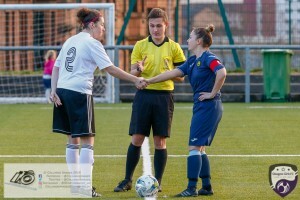 Glasgow Girls Skipper Georgie McTear shakes hands with Partick Thistle Captain Stephanie Cherry Mallon ahead of the opening game of the Scottish Women’s Premier League 2 Season Glasgow Girls FC vs Partick Thistle WFC at Petershill Park, Glasgow. 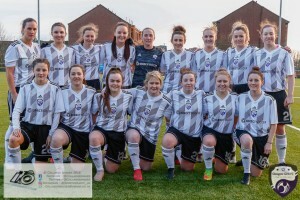 Glasgow Girls FC team Picture proudly displaying their new kit sponsored by Direct Soccer ahead of the opening game of the Scottish Women’s Premier League 2 Season Glasgow Girls FC vs Partick Thistle WFC at Petershill Park, Glasgow. 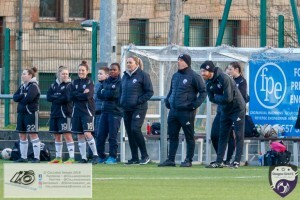 John Doyle – Glasgow Girls Head Coach & Jamie Hamilton – Glasgow Girls Asst Coach look at home on the touchline for their opening game of the Scottish Women’s Premier League 2 Season Glasgow Girls FC vs Partick Thistle WFC at Petershill Park, Glasgow. 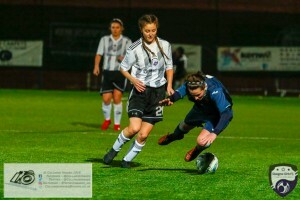 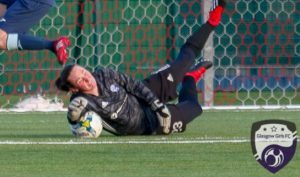 Toni Harkness makes her debut for Glasgow Girls in some style as she dives into where the boots are flying during the opening game of the Scottish Women’s Premier League 2 Season Glasgow Girls FC vs Partick Thistle WFC at Petershill Park, Glasgow. 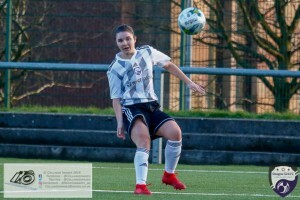 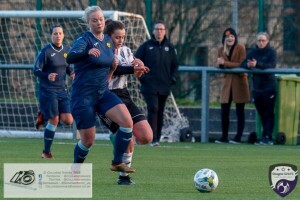 Leigh Ferrol has eyes for the ball during the opening game of the Scottish Women’s Premier League 2 Season Glasgow Girls FC vs Partick Thistle WFC at Petershill Park, Glasgow. 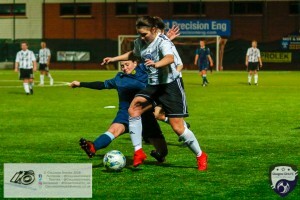 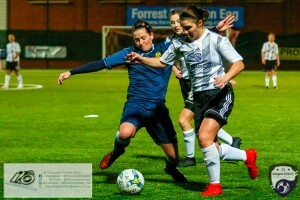 Kirsty MacDonald chases down the Partick Defender during the opening game of the Scottish Women’s Premier League 2 Season Glasgow Girls FC vs Partick Thistle WFC at Petershill Park, Glasgow. 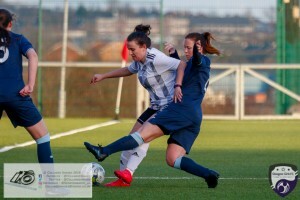 Kirsty MacDonald takes on Emma Louise Lawton during the opening game of the Scottish Women’s Premier League 2 Season Glasgow Girls FC vs Partick Thistle WFC at Petershill Park, Glasgow. 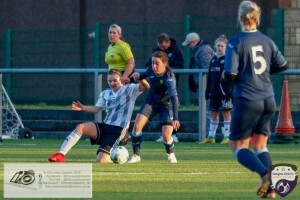 Lauren Ann Kerr shields the ball under pressure from Rebecca Bisland during the opening game of the Scottish Women’s Premier League 2 Season Glasgow Girls FC vs Partick Thistle WFC at Petershill Park, Glasgow. 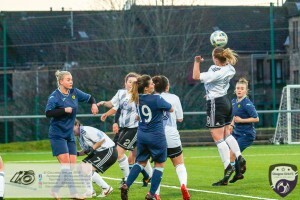 Eleanor Smith goes for goal during the opening game of the Scottish Women’s Premier League 2 Season Glasgow Girls FC vs Partick Thistle WFC at Petershill Park, Glasgow. 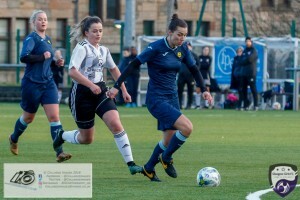 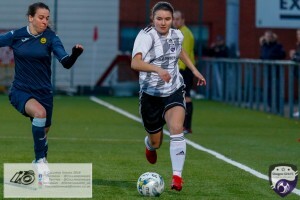 Eleanor Smith in action during the opening game of the Scottish Women’s Premier League 2 Season Glasgow Girls FC vs Partick Thistle WFC at Petershill Park, Glasgow. 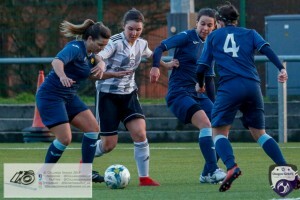 Kirsty MacDonald putting pressure on the Partick Thistle back line during opening game of the Scottish Women’s Premier League 2 Season Glasgow Girls FC vs Partick Thistle WFC at Petershill Park, Glasgow. 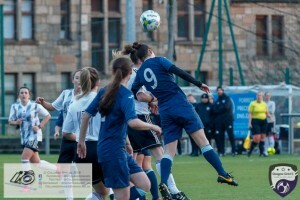 Leigh Ferrol takes a to the air following the challenge from Taylor McGlashan during the opening game of the Scottish Women’s Premier League 2 Season Glasgow Girls FC vs Partick Thistle WFC at Petershill Park, Glasgow. 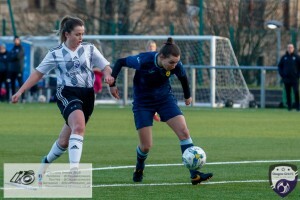 Rachael Armit in action during the opening game of the Scottish Women’s Premier League 2 Season Glasgow Girls FC vs Partick Thistle WFC at Petershill Park, Glasgow. 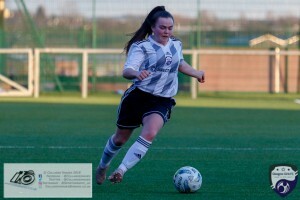 Kirsty MacDonald looks to get the ball down the wing during the opening game of the Scottish Women’s Premier League 2 Season Glasgow Girls FC vs Partick Thistle WFC at Petershill Park, Glasgow. 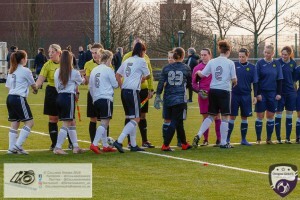 Eleanor Smith surrounded by Partick Thistle Players during the opening game of the Scottish Women’s Premier League 2 Season Glasgow Girls FC vs Partick Thistle WFC at Petershill Park, Glasgow. 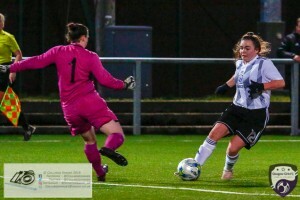 Taylor McGlashan heads the ball clear for the 1st corner of the game during the opening game of the Scottish Women’s Premier League 2 Season Glasgow Girls FC vs Partick Thistle WFC at Petershill Park, Glasgow. 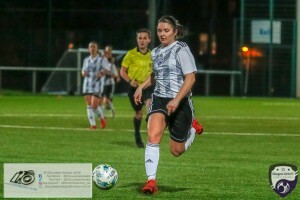 Eleanor Smith of Glasgow Girls FC heads towards goal during the opening game of the Scottish Women’s Premier League 2 Season Glasgow Girls FC vs Partick Thistle WFC at Petershill Park, Glasgow. 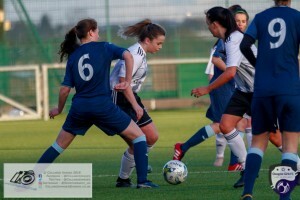 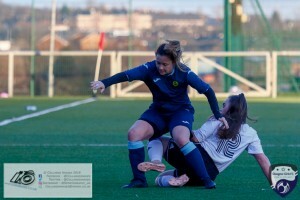 Georgie McTear tries to break out from the back during the opening game of the Scottish Women’s Premier League 2 Season Glasgow Girls FC vs Partick Thistle WFC at Petershill Park, Glasgow. 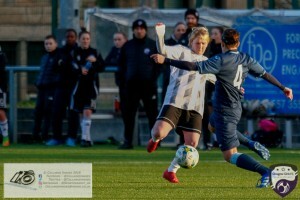 Kirsten McGuire clips a long ball into the corner during the opening game of the Scottish Women’s Premier League 2 Season Glasgow Girls FC vs Partick Thistle WFC at Petershill Park, Glasgow. 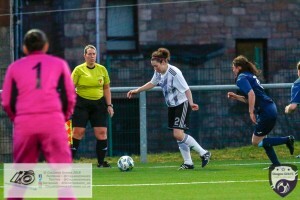 Georgie McTear gets to the corner and looks to deliver a cross during the opening game of the Scottish Women’s Premier League 2 Season Glasgow Girls FC vs Partick Thistle WFC at Petershill Park, Glasgow. 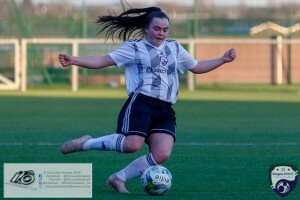 Shannon Ashley Mulligan manages to get on the end of a cross late in the 2nd half during the opening game of the Scottish Women’s Premier League 2 Season Glasgow Girls FC vs Partick Thistle WFC at Petershill Park, Glasgow. 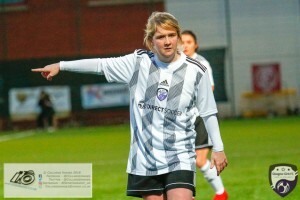 Leigh Ferrol giving directions, proudly wearing the clubs new kit sponsored by Direct Soccer during the opening game of the Scottish Women’s Premier League 2 Season Glasgow Girls FC vs Partick Thistle WFC at Petershill Park, Glasgow. 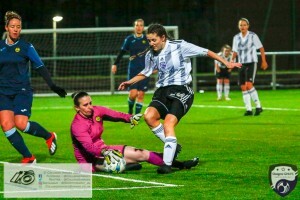 Rachael Armit only has Partick Thistle keeper Nicolle Andrews to beat to scor the opener during the opening game of the Scottish Women’s Premier League 2 Season Glasgow Girls FC vs Partick Thistle WFC at Petershill Park, Glasgow. 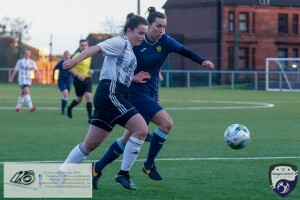 Substitute Lucy McEwan comes close to scoring during the opening game of the Scottish Women’s Premier League 2 Season Glasgow Girls FC vs Partick Thistle WFC at Petershill Park, Glasgow. 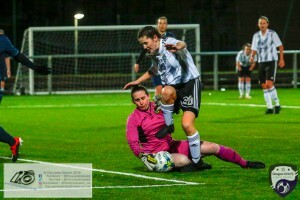 Substitute Lucy McEwan applying more pressure late on during the opening game of the Scottish Women’s Premier League 2 Season Glasgow Girls FC vs Partick Thistle WFC at Petershill Park, Glasgow.